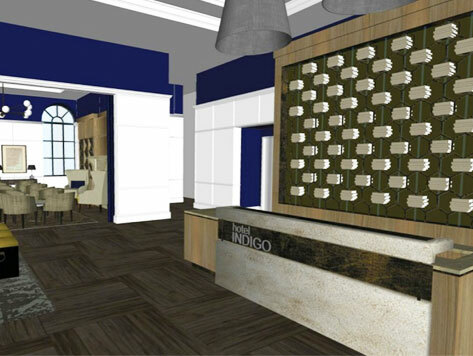 Hotel Indigo is an upscale boutique hotel located in Baltimore’s Inner Harbor. The hotel offers luxury amenities, 24-hour fitness and business centers, on-site dining, and a versatile meeting space for small or large groups. The hotel is within walking distance from many popular Baltimore attractions including Oriole Park at Camden Yards, the National Aquarium, Baltimore Convention Center, and is nearby many popular restaurants and entertainment venues at Federal Hill.